It’s another gorgeous week in Murphys! So why not kick off the weekend early with something a little different? A classic car show, perhaps? Murphys Classic Car Cruise Nights continues this Thursday night at Murphys Historic Hotel with fantastic music provided by local DJ “Decade Music”, some cash raffles and tasty treats! 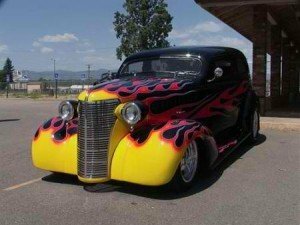 Proud owners of classic cars from all over Calaveras will be gathering in downtown Murphys to cruise Main Street and show off their fancy handywork. It’s a great way to get out, mingle with the neighbors and enjoy good company, good tunes, good food and good weather!